Baktar is not a common cat, even though he looks like one. He is a Royal Black Tarquoia, a mythical species, who lived among the ancient Inca of Peru high in the Andes Mountains. Baktar watches over his mistress Amasuwa, an Inca princess who is struggling with her fears concerning her upcoming marriage. Her grandfather Pachacuti, ninth king of the Inca realm, has his own concerns as he ponders the question of which god really is God and might there be just one? 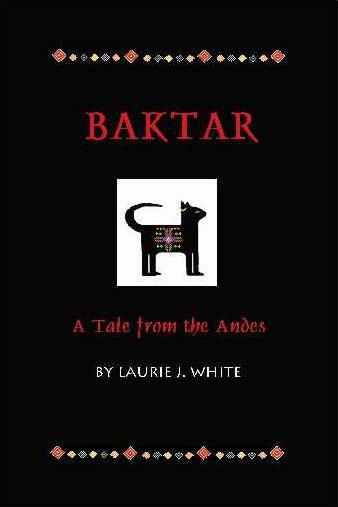 Baktar, meanwhile, is busy with his own escapades, but he is beginning to sense a lurking evil from which he must guard Pachacuti, if necessary, with his life. The scene is the beautiful and mysterious Machu Picchu, summer resort for the royal family. Young readers will enjoy this tale packed with fascinating details about the ancient Inca and wrapped in myth, intrigue and heroism. Pachacuti’s religious quest is based on recent historical evidence (within the last 70 years) that King Pachacuti underwent a significant religious conversion during his reign. He turned from worshipping Inti the sun god, who was held by the Incas as the chief among many gods, to worshipping only one god, the invisible creator-god, Viracocha. There are extant hymns that were supposedly composed by Pachacuti to this creator-god and in which he gives his reasons for believing. These hymns ring with beautiful harmony to the scriptural proposition that there is a natural revelation of God which exists in His handiworks. I first read about this evidence in Eternity In Their Hearts, a book by Don Richardson, missionary for Wycliffe and author of several books, including the well-known Peace Child.